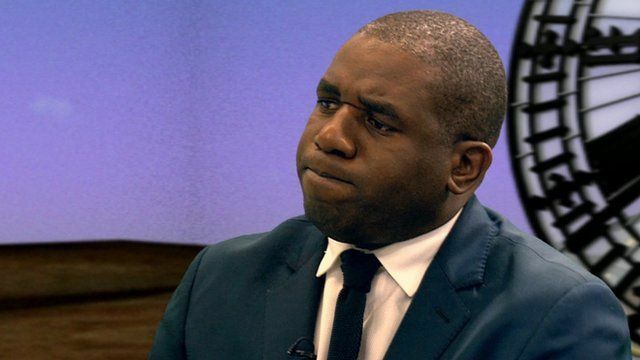 Lammy: I can't support Ken frankly Jump to media player MP David Lammy says he cannot support Ken Livingstone over his comments about Tower Hamlets Council commissioners. Under fire mayor 'will not resign' Jump to media player The mayor of Tower Hamlets, whose council was highly criticised in a report into how it awarded grants, has said he will not resign. Residents react to council criticism Jump to media player Residents of Tower Hamlets react to the government's decision to send commissioners into the council after multiple financial failings are discovered. Labour MP David Lammy said he could not support Ken Livingstone over his comments about the running of Tower Hamlets Council under mayor Lutfur Rahman. The former Mayor of London spoke at a rally last week calling for demonstrations outside the homes of commissioners, who will have powers over the running of the council, with a call to "make their lives intolerable". Mr Lammy, tipped to stand in the next mayoral election, said: "I can't support Ken frankly on his statements over the last few days".